Did you ever have one of those 8 wands projects...that goes super quickly from conception to completion? 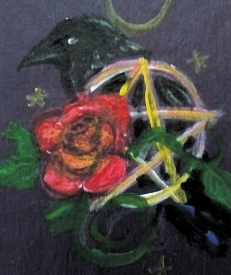 I had this idea for an Wiccan Witch oracle deck. And two weeks later, in getting quotes from the Printer! The idea was to have a deck of the tools of witch craft and use them for divination...but also for spell work When the actual items aren't available. Anyway...here's a peek at some of the cards. I also included the Sabbats and common familiars!